Isn’t it time you finally got your sliding door fixed? You are already aware of the frustration of your impossible-to-move sliding door. We can guarantee as soon as you get your door fixed you will be saying ‘Why didn’t I get this done sooner’. We know this because we hear it all the time. Imagine the joy you and your family will have when you can move your sliding door with one finger. With absolute ease, you will be able to slide your door back and forward. The locks will line up perfectly. 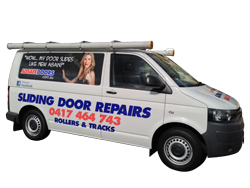 The team at Adsafe Doors has been servicing the Ryde area with sliding door repairs for over 25 years and have hundreds of satisfied customers. We cover all areas in the Ryde area from Denistone East to Macquarie Park and all the way over to West Ryde. Here are some of the nagging issues our customers have with their current door. 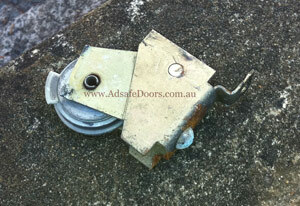 Is your door no longer locking properly? If you are nodding your head when reading the list above, then give us a call today. You will be surprised at how quickly you can have your door repaired. We have a cost effective solution for you right now. Why not become our next sliding door success story in the Ryde area? Our history in the Ryde Area is extensive and we have been operating in the area since 1992 and all our work is quality guaranteed. We only use premium products and promise that once we have finished working on your door, you will be able to open and close it with one finger. We have been perfecting our sliding door repair process for over 25 years and we find the combination of experience, quality materials and professionalism allow the best result for your sliding doors repairs.